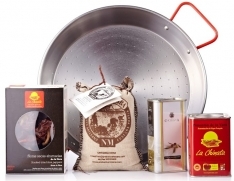 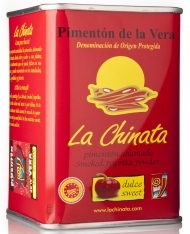 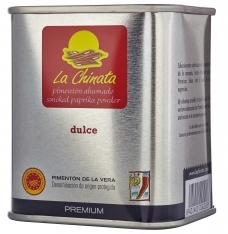 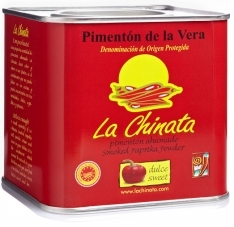 This smoked paprika gift case from La Chinata includes a can of sweet and sour paprika, a can of spicy paprika and a can of sweet paprika. The small 70 gram tins are ideal for getting to know the qualities of paprika, experimenting with its rich and varied flavor. 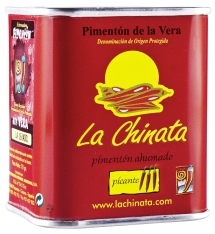 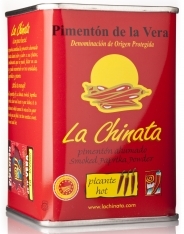 Easy to use and space saving in the kitchen, this product is known in Spanish as pimentón ahumado estuche regalo La Chinata.